Yvette Manessis Corporon grew up in New York in a tight-knit Greek-American community, listening to her grandparents' stories of life on the tiny island of Erikousa. Sprinkled among the tales of family and friends were her yia-yia Avgerini's mentions of Savvas Israel, a Jewish tailor, and his daughters and granddaughter, whom Avgerini Manessis and the other islanders hid from the Nazis during World War II. 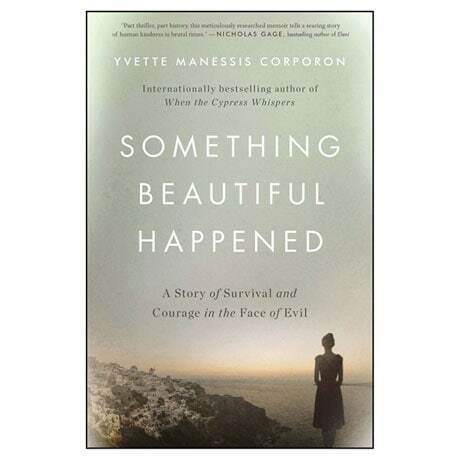 As an adult, Yvette set out to discover what happened to the Israel family after the war… and embarked upon a years-long journey that would transport her halfway round the world and reveal astonishing true tales of courage, sacrifice, and heartbreak. And when her family suffered an unexpected tragedy at the hands of a neo-Nazi in 2014, Yvette's quest took on a new urgency, to prove that when good people come together to help one another, evil cannot triumph.